The first time the Elementor page builder popped up on my radar, was mid-2016. 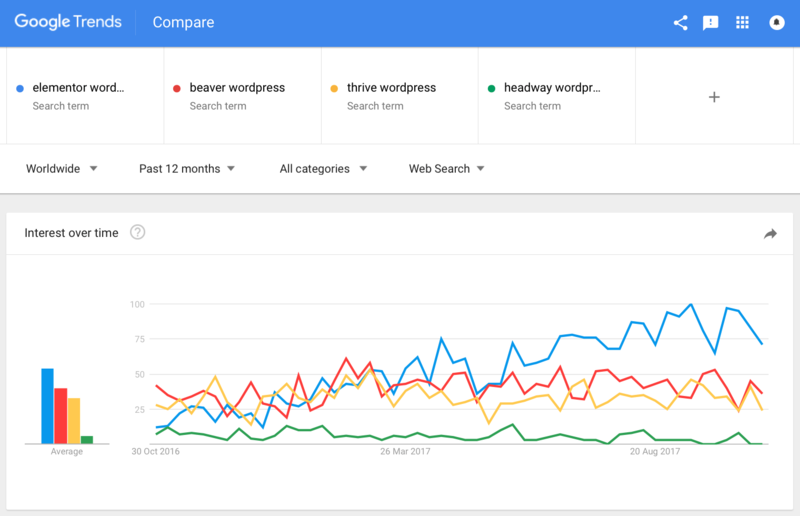 Since then, in little over a year, this remarkable WordPress page builder has gained magnificent momentum, and not only caught up with, but outpaced its biggest rivals Beaver Builder and Thrive Architect (f.k.a. Thrive Content Builder). Frankly, I’m astounded by that growth-curve. And I can’t help wondering WHAT and WHY Elementor is doing so well. We’ll look closer at that in a minute, but first: there’s someone we need to include in our comparison-party! We can’t ignore “Big Daddy Divi” – despite its persisting shortcode shortcomings which, for the most part, renders it “unembraceable” from my perspective. 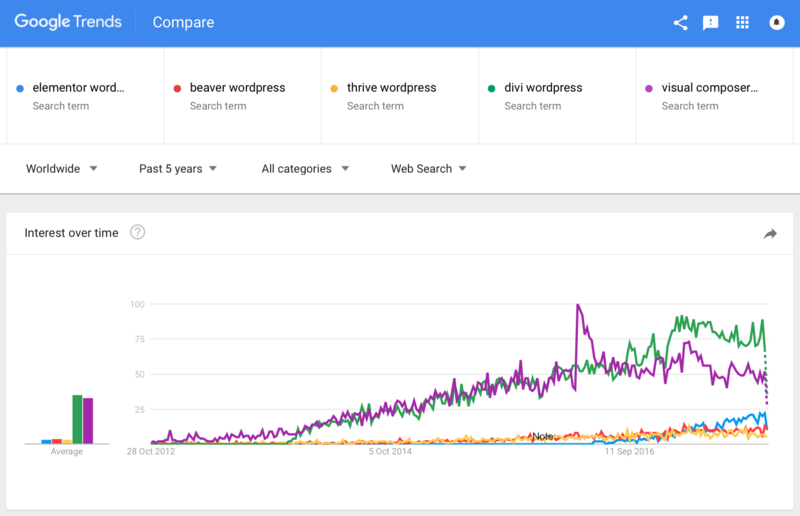 Regardless, it’s clear that Divi is still the world’s leading WordPress page builder. But for how long? If Elementor’s momentum astounded me, Divi’s sheer dominance stuns me. 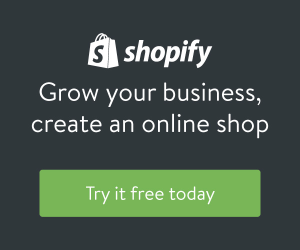 Divi’s marketing strategy doesn’t even include a Free version (like Elementor and Beaver Builder) to attract and entice new users. So why’s Daddy Divi such a big daddy? My take on Divi’s stardom is a fabulous example of content marketing done right and working as intended. Elegant Themes (makers of Divi) do a very good job with their blog – it’s very active. Their podcast DiviNation is popular too. I absolutely attribute Elegant Themes’ relentless, well-executed content marketing strategy as the reason for their market-dominance. Of course, Divi as a page builder is good. 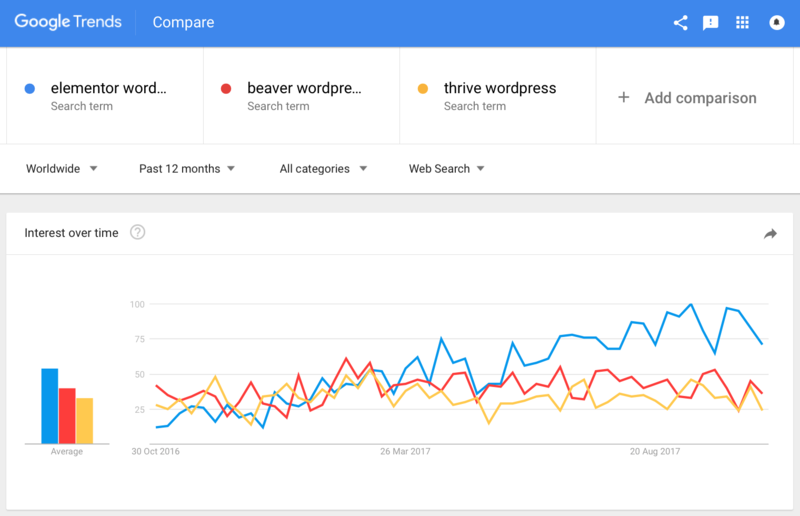 But it’s not 5x as good as Elementor, Beaver Builder, or Thrive Architect, as the Google Trends screenshot above could lead you to believe. Apart from its shortcode shortcoming I actually like Divi more and more. Just not to the same degree as Beaver Builder and Elementor, which I find to be better products. Not just subjectively, but based on the feedback I get on each page builder, in blog comments and emails I receive. “Good” ol’ Visual Composer. If Divi is Big Daddy Page Builder – good ol’ Visual Composer is Grandaddy Page Builder. The OG (Original Gangster) of WordPress page builders, ready to pimp your website with as many columns and rows as money can buy. Zooming out to a 5 year timeframe, Divi won the Visual Composer vs Divi battle in September, 2016. The reigning emperor of the throne, is Divi. Look at the “growth-curve” of Divi: it isn’t growing. It’s declining! The upwards trend has been broken. Any stock- or forex-trader will tell you that’s a bad sign (unless you’re interested in shorting – i.e. betting on the asset declining even more). Divi has hit its plateau. If you look at the graph above, Divi is losing steam, while Elementor is currently growing with breathtaking 700% annually. Indeed: the Elementor page builder may overtake the throne from Divi at some point in the future. Based on its thrust: it could very well happen in the near future. Some readers may think “I don’t care how popular my page builder is, I just use it for my websites”. Understandable reasoning. But when you’re investing in this kind of technology, you’re learning a tool, and using that tool as a foundation for your website(s). You do want that tool to be around in a few years. “WordPress page builders” is a fiercely competitive market. I’m pretty sure the Beaver Builder team didn’t expect Elementor’s sneaking blasting up from behind. 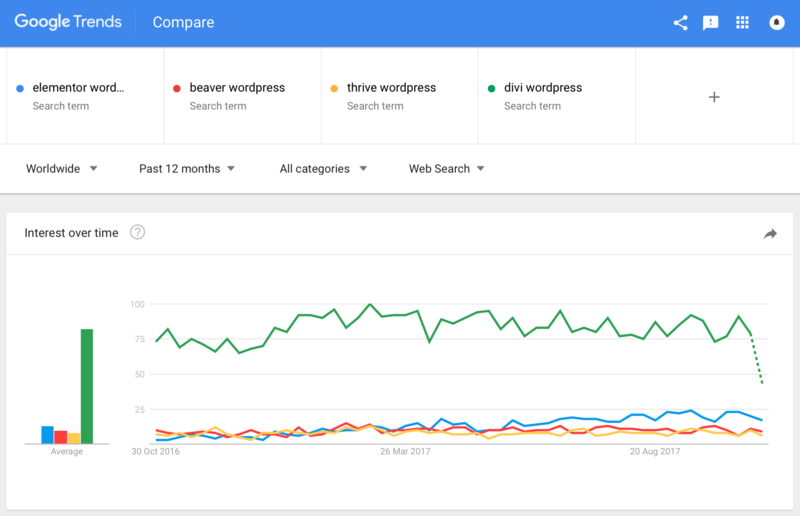 Their front-sight focus was likely fixated on conquering the mythical (and lucrative) “Kingdom of WordPress Page Builders” by slaying the mighty dragon Divi (and perhaps Visual Composer). Neglecting swift changes in the competitive landscape can be fatal to any business. Headway Themes didn’t see Divi coming. Today, the Headway theme is abandonware. Once great, now dead. Once a volcano, now a dinosaur. Once on fire, now extinct. As you can see above, Headway is now nothing but a footnote. I still have clients with websites on Headway. It’s quite frustrating to tell them their site’s foundation will need to be rebuilt, due to the neglect of its creators. If Headway died by one of the 7 Deadly Sins – it would be Pride. They never acknowledged what was going on around them. Never reacted proactively. Never responded. Just went on as usual. Fatal. Fatal and sad. It was a great, 100% unique web design tool. The most powerful drag and drop theme available. 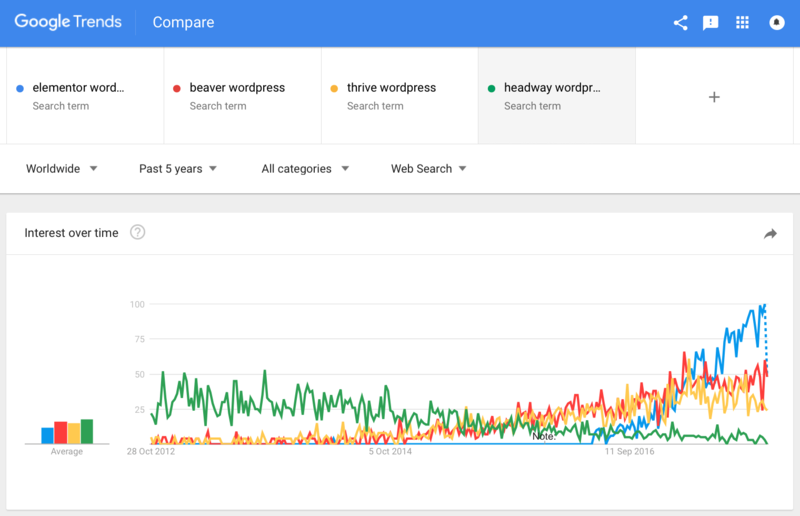 Zooming out to a 5-year timeline, you can see how Headway was once a WordPress theme to be reckoned with – before fading into oblivion. 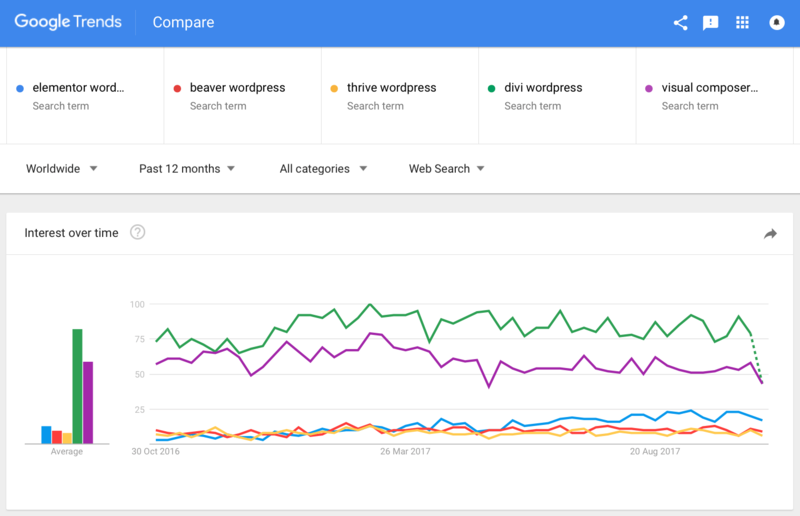 Note the correlation between the emergence of Beaver Builder and Thrive Content Builder (recently rebranded Thrive Architect). As the two (and Divi) rose in popularity: Headway faltered – and fell by the wayside. What’s the driving factor in Elementor’s rapid rise? Could it be the pricing of Elementor? If you want a license that’ll allow you to use it on an unlimited number of sites, Beaver Builder gives you that, for just $99. Elementor Pro (with unlimited sites) is $199. If you only need Elementor for a single website, the table has turned and Elementor Pro is cheaper than Beaver Builder Pro. Elementor’s 1-site license is just $49. Beaver Builder’s entry-level license is $99. So, pricing-wise, the choice between Elementor vs Beaver Builder depends on your personal needs. Thrive Architect is priced somewhere in-between. A single-site license for Thrive Architect (f.k.a. Thrive Content Builder) is $67. They also have an optional subscription-model. More details on Thrive Themes’ website, if you’re interested. One cool thing to note is that you can buy Thrive Architect for a one-time cost of $67. 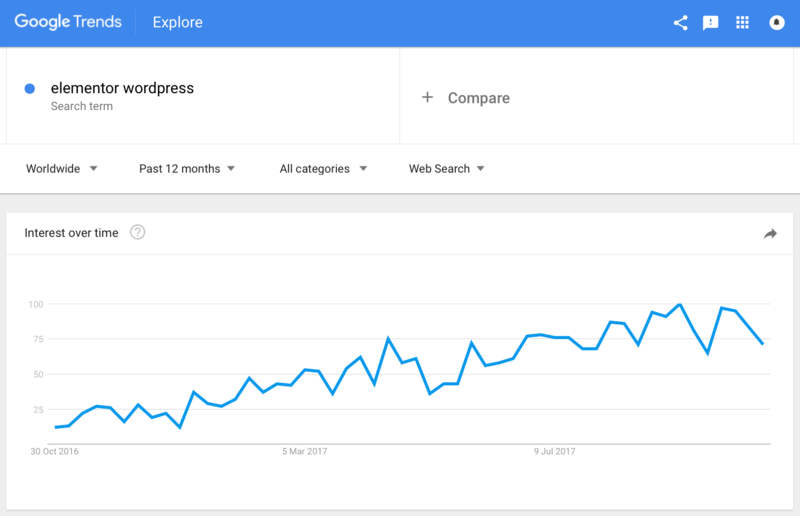 There’s no annual renewal as now customary for WordPress plugins. Anyway… Could pricing be the reason for Elementor’s success? Nah. It’s more or less a tie, considering some users will want unlimited sites licenses, and other just a single-site license. Could it be Elementor’s feature-packed free version? 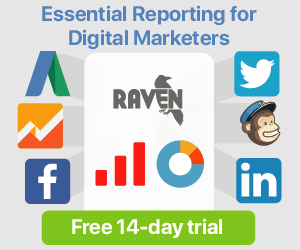 If you’re out of cash, or simply want a feature-rich free page builder – the answer is the free Elementor page builder. Beaver Builder’s free version, while fully functional, has far fewer features, than Elementor’s free version. There’s no way around it: Elementor wins on that front. And Divi doesn’t even have a free/light version. The powerful free version could very well be part of Elementor’s fast rise to celeb-status:) What do you think? Could it be Elementor’s feature-packed Pro version? Elementor Pro is packed with features – and new ones are added every few weeks. Example: Animated Headlines. You gotta try that out. A quite popular, recently added attraction. I won’t go into extensive details of Elementor Pro. This isn’t an Elementor Pro review – not even a bare-bones Elementor review. So you’ll have to look at the impressive feature-list yourself, for now. Still: are the features the reason for its success? Hmm. Maybe! Could it be the Elementor support team? I haven’t needed help from the Elementor support team, so can’t comment on it. Maybe you can? I can’t come up with more reasons. Can you? What do you attribute to Elementor’s success? Share your voice in the comments below! And what about soon-to-be-released Beaver Builder 2.0 – will it challenge Elementor’s position? Time will tell! Have you tried Elementor yet? You like it? Love it? Hate it? Share your voice in the comments below! I’m currently recreating one of my sites with Divi and i constantly find myself clicking on sections that aren’t clickable. Trying out Elementor soon as well. Thanks for the post! I came across Elementor on a whim because I needed a quick way to edit a client’s template page w/o having to hand code a new template. I’ve used Avada, Divi, Visual Compser and Elementor wins Hands Down! 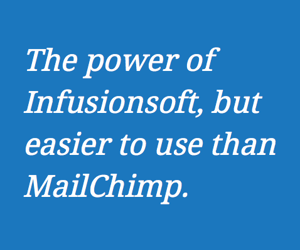 It’s fast, easy to use, and very feature rich, even in the free version. Also as somebody that comes from a development background, I like that it’s really easy to style things in it too. It’s definitely my #1 now. For sure: Elementor beats those alternatives, hands down. Beaver Builder is good too. I’m glad you’ve found a website tool you like. It means so much to one’s productivity and daily flow to work with a tool that doesn’t get in the way, and just lets you do what you wanna do. I used Divi before V3.0 and Live mode, I was not satisfied by the colorful and rather invasive interface. The Live mode has disturbed me because it is really too clean and requires costamentally to switch on the structured view. What first jumped to my eyes with Elementor is the speed and fluidity, everything is instantaneous. Time saving in design and noticeable. In addition CSS styles are easily customizable and responsive management very effective. Hands down as a Developer I am a Elementor die hard fan. My workflow has increased 10 fold. I am building everything from corporate to mom & pop sites for clients and they come out great. Thank you for commenting Frank! Interesting to read your experiences, Divi vs Elementor. Before jumping on Elementor I was using DIVI on client websites. The reason I was using page builder was only one to save my time. But when I tested Elementor what I found was it is much more quicker than DIVI. Elemntor has the best UI for a designer. It has tons of features still it’s so easy and quick to navigate from one feature to another. I think this is one of the main reason for its popularity. Thanks for chiming in! I’m glad you like Elementor. 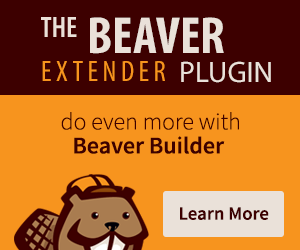 Curious: have you tried Beaver Builder too? I completely agree with this analysis, I divided by 3 my time of development of site, in particular for all that relates to the responsive rules. Very interesting to read your take on Elementor’s copywriting. I hadn’t paid specific attention to that part of their marketing, so had to take a deeper look at their site copy and email newsletters. Their sentence structures are sometimes a bit clumsy/muddy (could be more refined) but it’s not full of spelling errors, as I’ve seen on Elegant Themes’ site. That’s just me being picky. Apart from that, I see what you mean: everything is written in a straightforward, easy-going tone. Confident, without being cocky, salesy, or particularly bold. It’s friendly. Thank you for bringing it to my attention. Funny how we all notice different things! How do you feel about the copywriting and overall tone on Thrive Themes’ website? Personally I don’t resonate much with it. Those aggressive “Yes, I Want to Build Better Content & Landing Pages!” call-to-action buttons… Gosh. Sometimes that style works, other times it doesn’t. I’m sure they’ve been split-testing it though. Just doesn’t resonate with me. And those long sales pages. Whenever a sales page goes on and on and on like that: you know someone’s trying to sell you something. Contrasting it with what I wrote above, I’d say it’s the opposite of Elementor’s site copy: Confident (which is good) but cocky, salesy, and perhaps a tad too bold (claims-wise). It’s just not as friendly. IMO. You have convinced me Oliver. I switched to Elementor Pro for my new website, in development for now. I am very satisfied with the ease of use and the lots of widgets. I know I have a lot to explore to make use of all the bells and whistles. 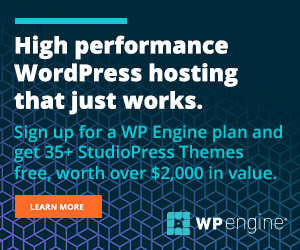 OMG – yet another WordPress based page builder. I haven’t finished learning the last one! I’ve been getting up to speed with Divi, since it seemed that Headway was at death’s door – if it hasn’t already walked through. Which is really bad news for me since I built a very big and very elaborate website for someone. And now, Elementor comes knocking at my door. (I passed over Beaver Builder and Thrive just because there’s only so much I can squeeze into my old brain and because you didn’t seem wildly enthusiastic about them.) I’m going to open the door for Elementor, though. Divi is okay – and I’ve just started building a website with it – but Elementor gets such a positive review from Jose! You, sir, have opened my eyes to a whole new site building platform. As a Divi user, I felt I could kind of bend WordPress to my will (well sort of), but the Element Pro builder has given me a flexibility and a boost of creativity far beyond my expectation. Thank you for your insightful article. Had I not read it, I will still be working with Divi. Not that Divi is bad, but when you start driving a Ferrari, why would you want to go back to driving your Toyota?